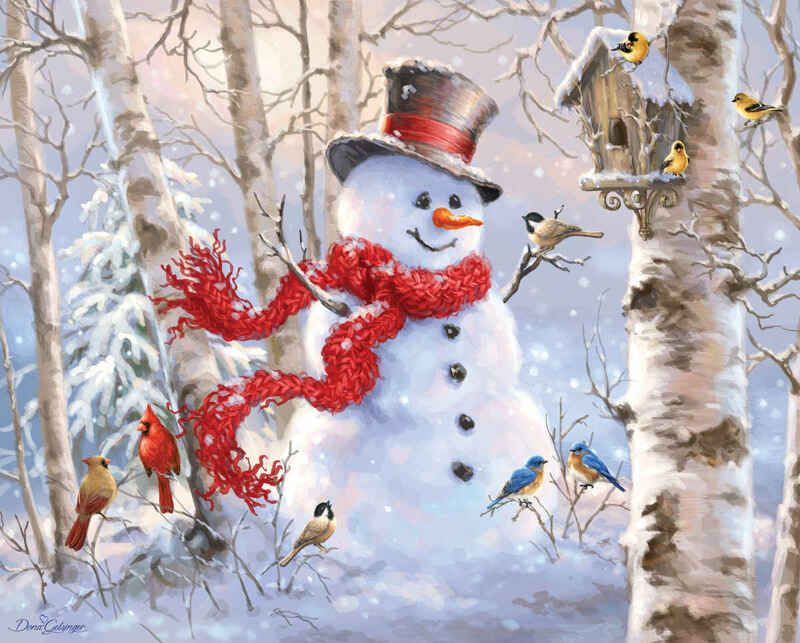 What could put you more in the holiday spirit than a festive snowman hanging out with a whole crowd of birds? 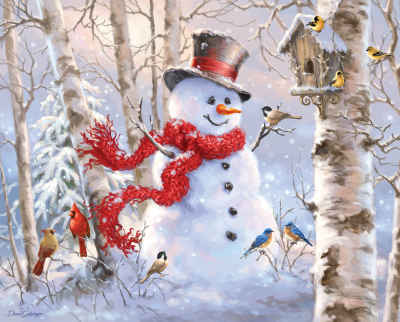 Winter Friends is 1000 piece holiday-themed jigsaw puzzle that will be perfect for the whole family to work on. Can you locate all the birds in the puzzle? This puzzle is absolutely stunning when finished. I am gluing it so I can display it every Christmas!! I love this puzzle. Was a bit of a challenge but that is what makes a puzzle enjoyable. This is the cutest puzzle ever. It was really fun and challenging to put it together. Lots of areas with the same colors which always makes it a little more difficult.